Basketball legend Bob Pettit came to St. Louis with the Hawks in 1955. The ideal power forward, he averaged 26.4 points and 16.2 rebounds per game for his career. 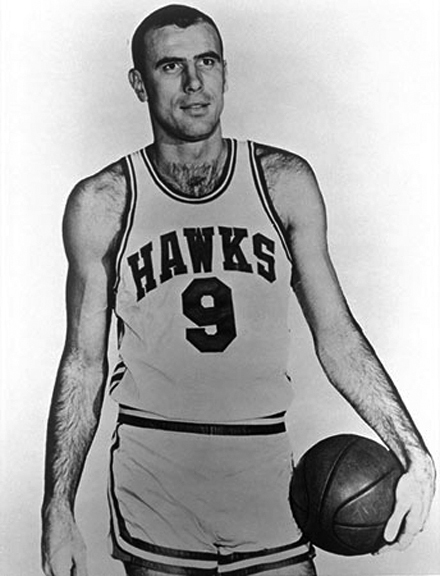 Pettit led the Hawks to the NBA Finals four times in five years, and in the 1958 Finals he scored 50 points in the deciding Game 6 to clinch the team’s only championship. Pettit was named MVP of the NBA All-Star Game an astonishing four times and made the team in each of his 11 seasons. He retired in 1965 as the first NBA player to score 20,000 points. A 1971 inductee into the Basketball Hall of Fame, two-time league MVP Bob Pettit was named one of the 50 greatest players in NBA history.